Why are some teachers and student teachers better at managing pupil behaviour than others? What are the factors which make a difference to classroom climate? Can any teacher or student teacher become accomplished at managing pupil behaviour? 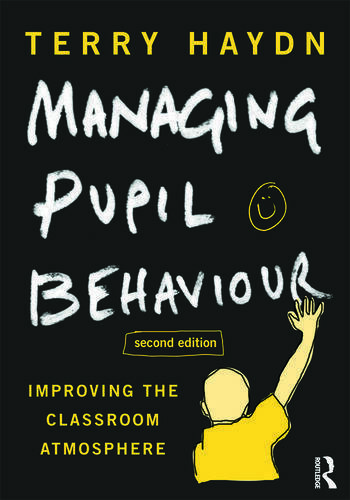 Managing Pupil Behaviour provides routes through the classroom management maze to help practising and aspiring teachers learn to manage behaviour effectively in their classrooms. Using a unique 10-point scale, it encourages teachers to think about the degree to which they are relaxed and in assured control of their classrooms and can enjoy their teaching. Drawing on the views of over 140 teachers and 700 pupils, it provides insights into the factors which enable teachers to manage learning effectively in their classrooms, so that pupils can learn and achieve, and teachers can enjoy their work. Key issues explored include the factors that influence the working atmosphere in the classroom, the impact of that atmosphere on teaching and learning, and tensions around inclusive practice and situations where some pupils may be spoiling the learning of others. This new edition has been fully updated to take account of recent research and inspection findings and includes a new chapter exploring the wide range of sophisticated skills that expert teachers deploy in order to get pupils to want to learn, and to enable teachers to work in classrooms where the climate is perfect for learning. Managing Pupil Behaviour will help all teachers ensure ‘the right to learn’ for all the pupils in their care and to think about different ways to approach this vitally important aspect of their working lives. Terry Haydn worked for 20 years in a challenging inner-city secondary school in the North of England and more recently has worked in teacher education in Manchester, London and East Anglia. He is currently Professor of Education at the University of East Anglia, UK.